Most people don't realize how much goes into creating a piece of art. 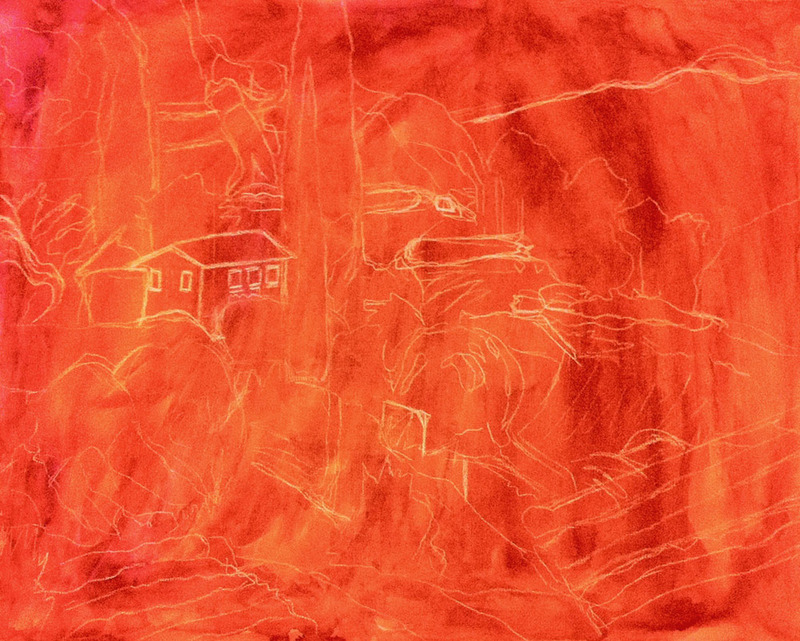 Here is an example of a work-in-progress (WIP), an italian landscape in oil pastels (OP). I have been painting OPs on scrap pieces of acid-free matboard for a while and love it. But for the board to be really receptive to layering of OPs, it first has to be coated with clear-gesso and allowed to dry for 24 hours. Next comes an underpainting, which basically gets rid of the stark white color of the support and is useful in case there's not 100% coverage of the support by the OPs. An underpainting can be done in a single color like I've done here. I chose a red watercolor underpainting because the scene I'm painting has a lot of oranges and greens and little bits of the underpainting showing here and there will bring some vibrancy to the end result. I then sketched my scene with oil-based colored pencils. Another option for underpainting is to basically recreate all values and colors in the final painting using paint (watercolor, acrylics, gouache or even oils), which basically means that you're painting the scene twice. After the underpainting is done there's a blocking in of colors as can be seen below where I basically use the OPs on the side and establish the main colors and values (lights/darks). Please note that this picture does not accurately capture the colors that I've used for the block-in, namely some greens look too yellow. There's something about photographying complementary colors--red and greens in this case--that confuses the camera and no Photoshop can fix it. But anyways, you get the idea about the block-in stage. So far, I've spent about 3 hours on the painting but there are many more to come as I keep layering the OPs and adding detail to complete this wonderful landscape scene. Keep tuned for the next stages.